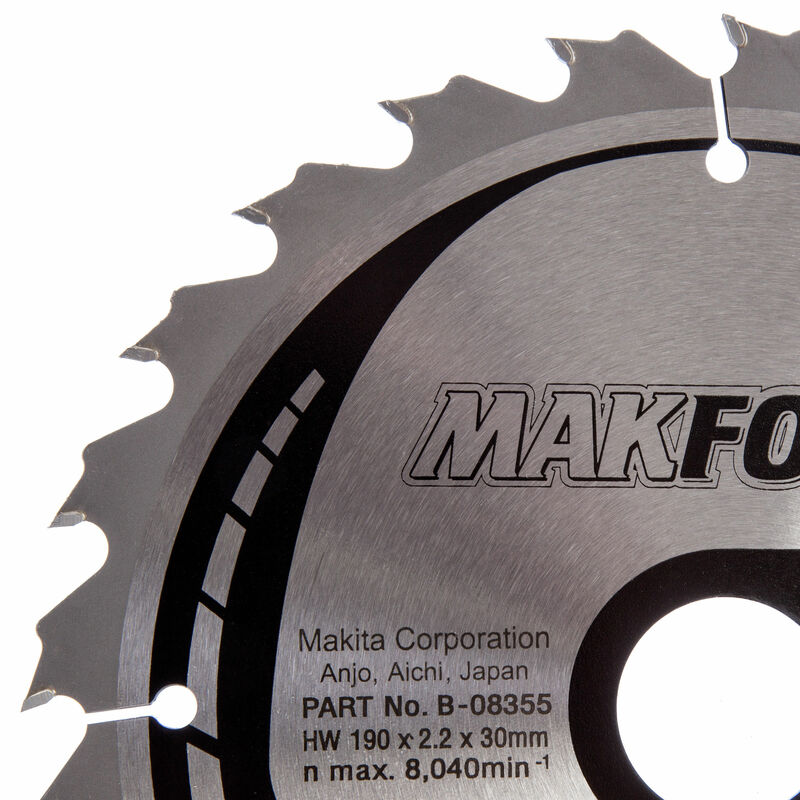 The Makita B-08355 is suitable for all makes and models of portable circular saw. 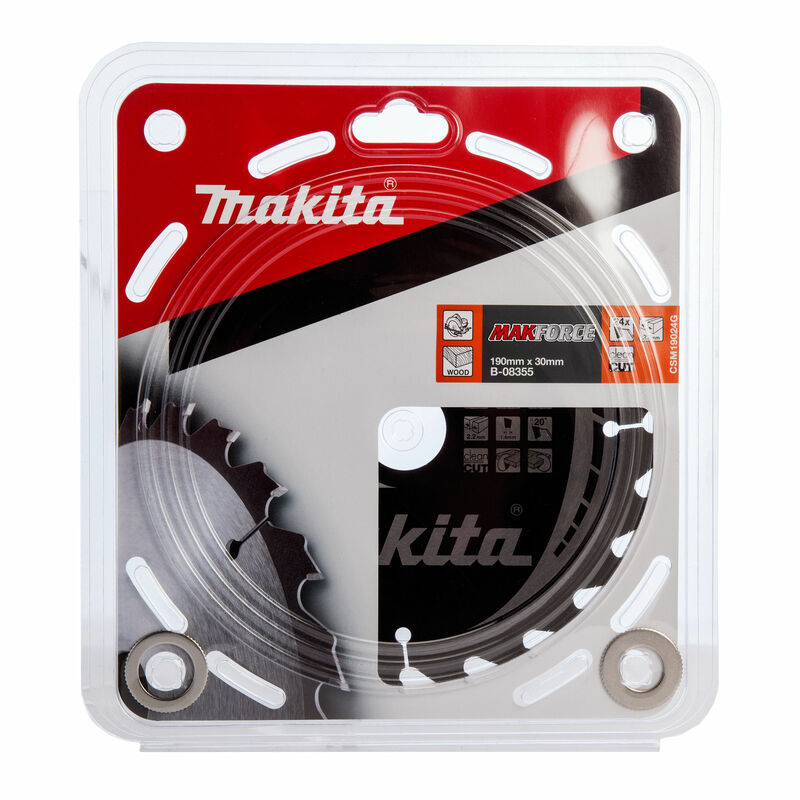 190mm in diameter with a tooth count of 24 for a coarse rip and cross cutting in wood. Fully hardened and tensioned blades absorb impact and remain flat and true. High grade tungsten carbide with low wear rate for extended blade life. Precision honed for a sharper longer lasting edge. 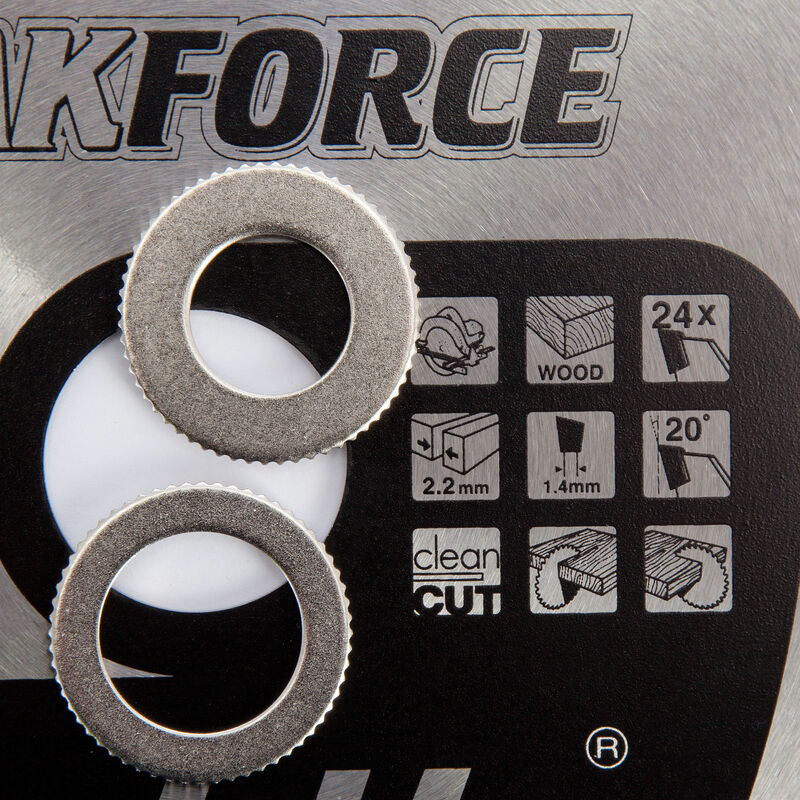 Includes 2 x Bushing Washers for machine compatibility.